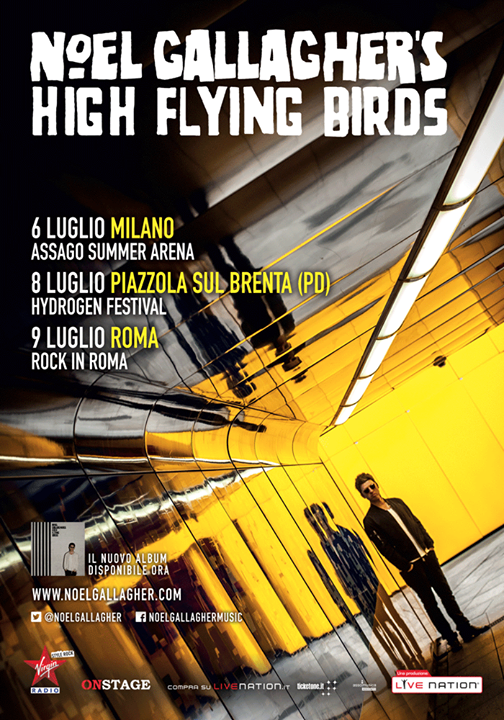 ‘Noel Gallagher’s High Flying Birds’: new Italian dates! Good news for Italian fans! Noel Gallagher will come back to Italy next summer for three shows. Tickets will be available from Monday March 16th, and exclusively for Italian fans from tomorrow at Fabrique’s Box Office. ← Noel Gallagher’s High Flying Birds live from Duesseldorf on Radio2!